MLR 2017: Think You’re Exempt? Think Again! 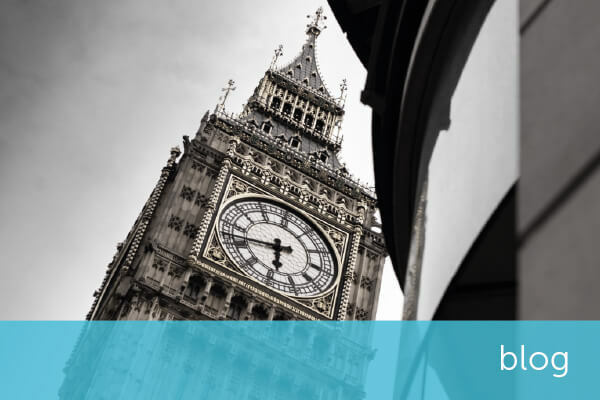 Following an initial consultation on implementing MLD4, the Treasury has now published the feedback to that consultation and the draft of the Money Laundering, Terrorist Financing and Transfer of Funds (Information on the Payer) Regulations 2017 (the MLR 2017). For legal and accountancy firms, the changes made in the MLR 2017 will have a defined impact on firms of all sizes and practice areas. Prescriptive due diligence included within MLD3 has been changed, and a risk based approach must be implemented for all clients. Moreover, the changes will mean that legal and accountancy firms now have more information about existing and prospective clients than previously, but must make much better use of the available information. Having spoken to many legal professionals and our legal clients on the subject of the new regulations and what impacts it will have on their business, it is clear that there is a misconception that these regulations will not apply to them. MLR 2017 will cover all legal professionals, regardless of their size, where they work, or with whom. There are significant changes introduced in the MLR 2017. Simplified Due Diligence (SDD) can only be applied after determining that a business relationship presents low risk; firms needs to run checks and assess information against a set of suggested risk factors before deciding that SDD is appropriate. Ultimate Beneficial Owners (UBO) with control of 25% or over need to be identified and their identity verified. Politically Exposed Persons (PEPs) extend to domestic PEPs, family members or known close associates of a PEP. Persons trading in goods now covered if they are trading in cash transactions of €10,000 (around £8,600) or more. Gambling sector services are extended beyond casinos. Tax crimes have been added to the definition of “criminal activity”. An Office for Professional Body AML Supervision is introduced, to work with professional bodies to help and ensure compliance with the regulations, expected to be fully operational by 2018. Customer Due Diligence (CDD) records must be kept for 5 years. Legal and accountancy firms must be far more diligent in the manner in which they onboard new clients. A risk based approach needs to be at the heart of any processes and policies of CDD put in place. The scrapping of automatic exemptions means that SDD can be applied only after initial investigations and checks against risk criteria establish that a client is of lower risk. Additionally, the changes to PEPs mean that a potential client cannot be penalised for being a PEP but in these cases Enhanced Due Diligence (EDD) will need to be applied. A wider range of information available with the list from Companies House’s People with Significant Control is available to facilitate UBO investigations, but firms should not rely only on one source of information and should seek to double check corporate trees with other trusted information providers. Ultimately legal and accountancy firms must be far more diligent and scrupulous in the manner in which they undertake due diligence on a potential client. During the KYC process, they must make exhaustive investigations against multiple data providers shifting away from previous reliance on just the records of Companies House. Risk Officers and compliance teams will need to review their existing CDD processes and amend to reflect the new criteria for SDD and EDD, ensuring they have robust KYC systems in place. For both legal and accountancy firms, the new regulations will have wide reaching consequences, particularly if they are not adhered to. At a minimum, those that do abide by the letter and the spirit of the regulations will need to review their onboarding process for new clients to ensure that they remain compliant. This is, though, a far smaller undertaking than what could happen for those found to be in noncompliance, where potentially multi-million pound fines and reputational damage await. Especially for smaller firms, this will be a challenging time, but, by staying complaint and on the right side of the regulator there is opportunity through enhanced reputation, fines avoided and ultimately, money launderers left with nowhere to go.